Animals are the subject of my art. Some artist like landscapes, portrait or still life painting or drawing. Whatever the subject once you pick the medium you want to work in is the next step. You either have to set it up, have a model or record the scenery. Some of us know we will never run out of things to capture in our art. Those of us that have a true passion for the arts find a way to incorporate our love for a certain subject to find its way in to our work. Artist that sing find their passion emotions and express that with their voice. Those that play instruments are drawn to a certain sounds that move their soul. Artist that use sculpture, paint and pencil at one time or another will use an animal or animals as their subject. My focus is on animals, I am always ready to capture that sparkle in their personality that draws us to them. The subject matter is endless, I do portraits, full body, in their natural environment and with some of their best friends. Animals show who they are from the start and that is why I find them so fascinating. Wild or tame they always seem to catch our attention. They have no agenda other than to be seen or in some cases unseen. Artist know when you see something special and recording it is objective. 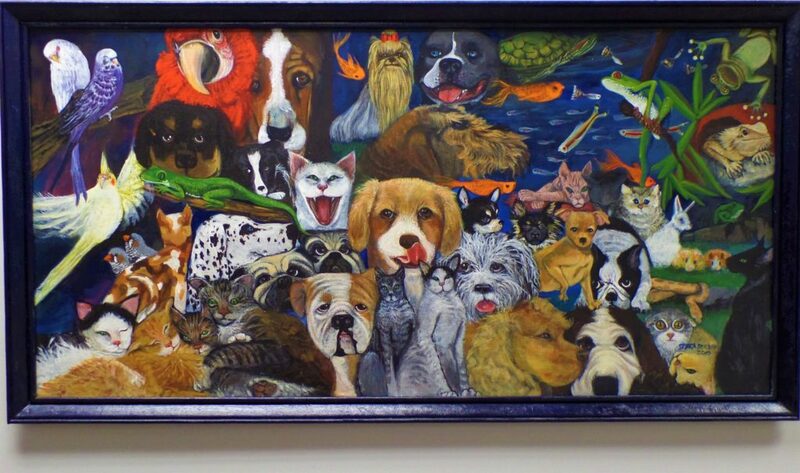 Animals are the subject of my art work. They are covered in fur, scale and some are smooth to the touch and others are ruff. The textures on these wonderful creatures are an inspiration and bring joy, fear, love and peace to viewers. The emotion that you portray through the work shows the relationship you have with your subjects. 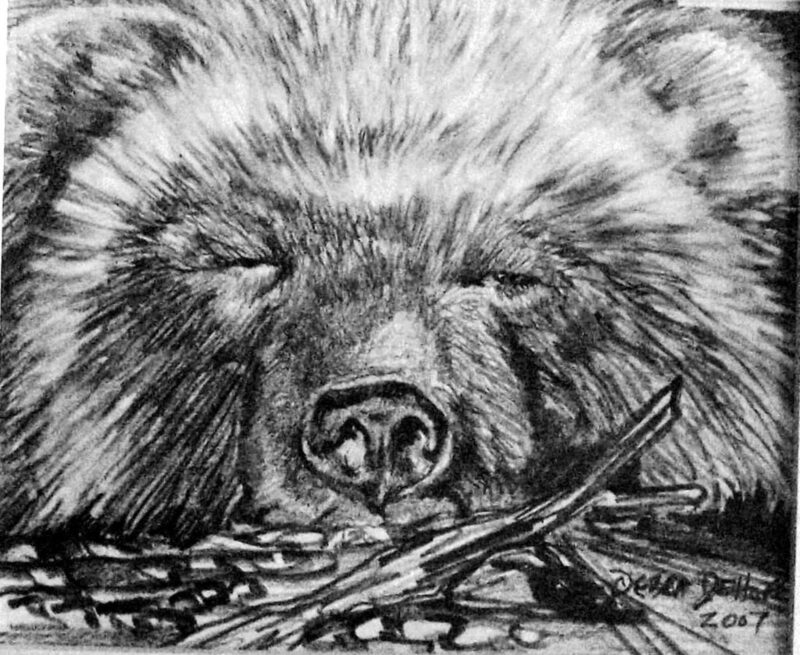 My style is bold and a combination of tight and loose pencil strokes to bring out the fur on this bear.